I continue this series of blog articles on expository preaching. 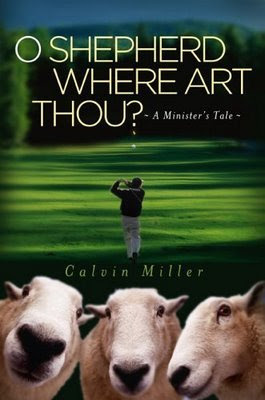 In Part 1, I explained some of my earlier interests in expository preaching and some antics in the topical sermon routes that I took. In Part 2, I explained the importance and necessity of verse-by-verse exposition and the needed commitment to preach through lengthy passages of Scripture. 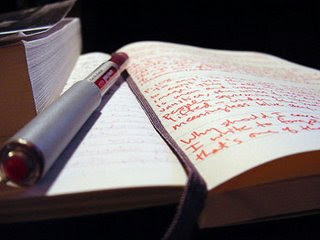 In this third part, I want to give you some thoughts and ideas on beginning your own series of expository messages. 1. Begin with your interests. The first thing about beginning in the verse-by-verse exposition, you should work with a passage that you are keenly interested in. In fact, if you have a “candy-stick” this might be a very good place to start. 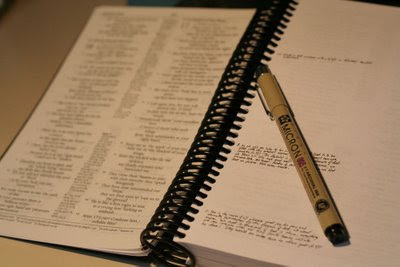 If you have certain interests in biblical characters, you might work through a passage in the Gospels that lists the disciples. While this would be a series that is more biographical in nature, you are still grasping the concept that discipline is required to work on to the next character. Another possible place to begin would be Isaiah 9:6 and you can walk through it word by word. There are some vast nuggets that come from Wonderful, Counselor, Mighty God, Everlasting Father, and Prince of Peace. Technically this is going to border on being a topical study what you are looking for in this stage is the development of a habit that will allow you to dig into a book when you decide which direction to lean toward. As a disclaimer, I must warn you that expository preaching is much more exacting and challenging than topical preaching. One reason is because if it is done properly there will be much stretching of your own biblical knowledge. As stated earlier about topical preaching the majority of the time the preacher is merely rearranging material that he has already learned years ago and never really scratching the surface of new Scriptural knowledge and truth. 2. Begin with small steps. If you have never worked through a passage of Scripture, you should not immediately decide to work through Isaiah’s 66 chapters. Furthermore, you probably ought not to tackle Psalm 119. Interestingly enough concerning Psalm 119, Thomas Manton, the old Puritan, preached 250 sermons from these 176 verses and they are a treasure to dig into. The first small step might be to work through the book of Jude. If you are seriously considering the work, Philippians might be a good place to begin. 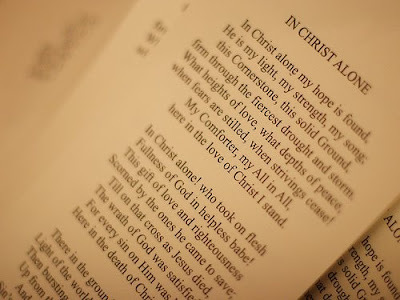 One the great things about preaching through smaller books, is that you will become hugely familiar with the book in a manner that you will probably be able to quote it. Most textbooks on expository preaching recommends that you read the book through in one sitting every day for 30 days before you actually begin to study it and develop a preaching plan from it. What you are doing when you begin this process is developing and very powerful sense of discipline that will help you master Scripture. Be prepared once you get into expository preaching to have some of your traditional views of theology to be radically challenged. But in the process of this you will find that your heart and soul will catch fire and you will literally find great spiritual growth taking place because of your handling of the Scripture. Simply to let you see what I am speaking of, I mention my experience with 1st John which is the first serious effort at a long series. I have just gotten through 1 John 3:3 and have preached/taught 35 times already. In chapter 1, the idea of divine flesh was immediately destroyed by the Apostle John. In fact, he did it so convincingly that I feel this is a matter of fellowship as divine flesh really is presenting another Jesus. 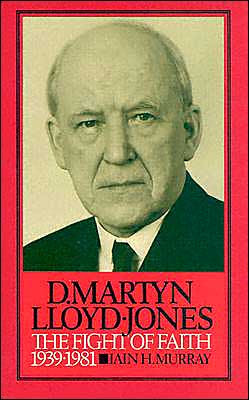 In chapter 2, the Emerging Church concept was taken on and exposed for the worldly hoax that it is. At the conclusion of chapter 2 and beginning of chapter 3, the false ideas of preterism were addressed when we consider the hope within us. I was simply amazed at how up-to-date that Scripture really is in its handling of today’s issues. 3. Take advantage of the massive amount of free resources on the internet. You will find there are massive amounts of free resources on the internet for the how-to’s, starting points, and even outlines of books of the Bible that will serve as good beginning points for you to work with. Familiarize yourself with some who are literally verse-by-verse expositors and let their work help you. It is important that you be very adept and accurate in your doctrinal understanding before allowing some of these resources to influence you. 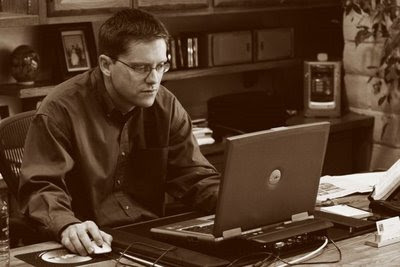 As you begin to get into the process of expository preaching there will be some authors that you will begin to appreciate their writings more than others. 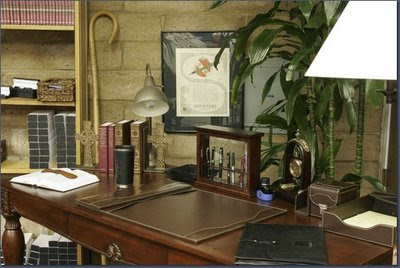 There is a good possibility that their writings or their outlines of messages can be found on-line. The way that they have chosen to break down certain passages of Scripture can be very helpful to placing you on the track to your own series. In a previous blog, I tried to introduce the idea of planned preaching and mentioned some of my own foibles in my “rookie” days of preaching. 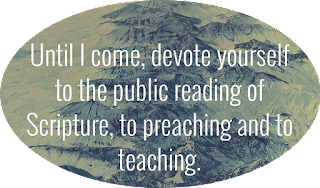 In this post, I want to try and at least attempt to put into your mind the merits of planned preaching. I also know that in Pentecostal circles that this concept can be met with some incredulity because there is that question about preaching “what the Spirit lays on your heart.” I’ve come to understand that when a minister says he is going to preach something that God has “laid on my heart” that it is either a) going to be very good or b) he is terribly unprepared and you are in for a long night. So what about the idea of planned or expository preaching? My greatest defense of it is what Paul told the Ephesian elders in Acts 20. He informed them that he had preached the whole counsel of God. This passage literally infers to us that he had preached his entire way through the OT and had used the Epistles to do so. All of the Epistles can be cross-referenced with some great OT truth. 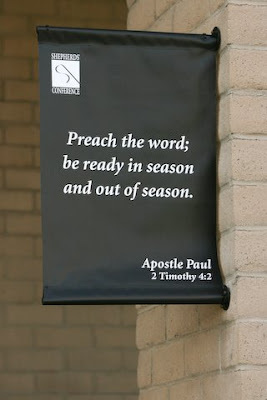 So when Paul gave the charge in 2 Timothy 4 to “preach the Word” he knew whereof he spoke. I also might add that he was very much being led by the Spirit. There will be times that a pastor’s preaching will be out of season. He will be bogged down by the demands of a hectic schedule or more often he will be mired in the burdens of the sheep he is trying to lead. Therefore these demands and burdens can begin to encroach in on his preaching and this can be a deadly trick of the enemy. 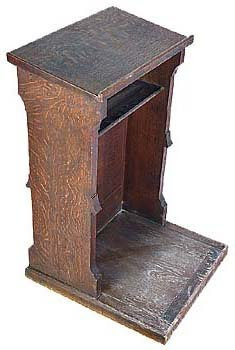 The pulpit suddenly drops down into a very low state and becomes a soapbox for a preacher’s frustrations. The man who devotes himself to preaching through the Bible will continue to have to battle with the demands and the burdens but the texts of Scripture have already been laid out for him to yield to. 2. It defeats Biblical Illiteracy. One of the main ways to defeat truth decay is with a strong commitment to solid biblical preaching. Having grown up on the pews of a Pentecostal church, I can remember my own pastor, Joe Patterson, working through entire books of the Bible on our mid-week service. I can recall going through Acts all the way to Revelation. I will confess that there were times that my attention lagged through those Bible studies for a number of different reasons. I am also certain that I do not have the attention of all of those who hear me preach now (although I work extremely hard at it) but I have come to understand the power of Scripture by this simple approach. There were times that I would get involved in a situation in life and suddenly a Scripture would come from the past and it would direct me very clearly about which way to go. My contention is that biblical illiteracy is much influenced by the fact that we are not given to reading. Everything is visual. The man who handles Scripture wisely and accurately is going to inspire the Church to read their Bibles. 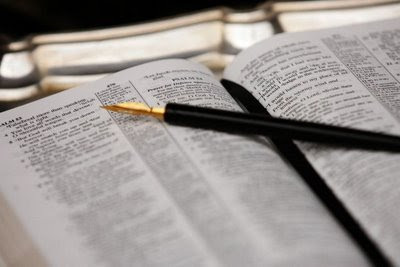 As a man gives himself to the diligent study and presentation of the Word, the Church will both read their Bibles and also look forward to the messages that are being preached! 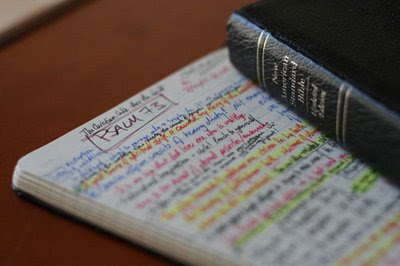 A good expositor will be granted by God an ability to create a hunger in people for the Word. 3. It Presents a Well-Balanced Approach to Scripture (or it just makes sense). When there is a hodge-podge or shotgun approach to Scripture it leads to much scatter in the lives of the saints. Jesus instructed Peter to feed the sheep and this continues to be a mandate for us. 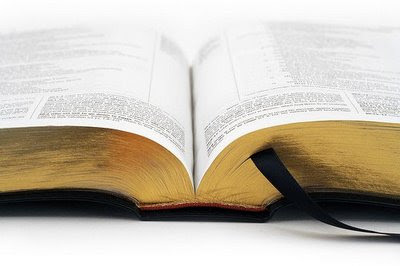 Preaching through books of the Bible or even working through doctrine with the approach of a systematic theology approach can be very fulfilling for a pastor and for the saints. The pastor is continually stretching his own understanding of the Word because of the demands for disciplined study. When a man only preaches topically the chances are the he will frequently only give the congregation something that he has already learned. The message is either old knowledge or simply rearranged thoughts that may appear to be new. 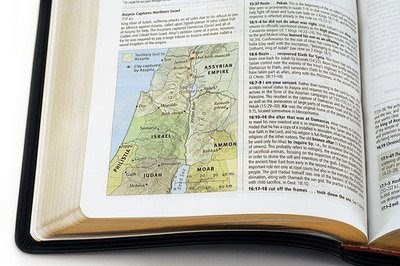 When one consistently preaches through Scripture, the Bible can be seen as a whole and not just a part. It really just makes sense for a pastor to desire to be an expositor. When I was in RN school, it was good that our professors dealt with things systematically. We did not show up one day and hear all the courses of treatment for congestive heart failure and then the next day tackle taking care of the pancreatic cancer patient. The congestive heart failure material was dealt with when we were immersed in the cardiovascular system. Not only was CHF covered but acute myocardial infarctions, atrial fibrillation, other malfunctions of the heart along with all the drugs and procedures that went along with the CV system. We went through pancreatic cancer when we were moving through the endocrine and gastro-intestinal systems. The systematic process catered to learning how to take care of these patients. To systematically walk through Scripture will be and do much to build the lives of the saints. Next time I will try to give some good ideas for starting your own series of messages. As always, thanks for reading! Comments are also greatly welcomed. . . .
On an e-mail group to which I am a member a question was recently posed by a pastor who had been serving his church for 3 years and was heading into his fourth year. He asked the question, “Can anyone suggest to me a plan for preaching that will cater to spiritual growth?” I believe the question to be a very valuable one and it was more than just a pastor looking for a nifty little sermon series that would appeal to the senses but never really settle the soul. Good Pentecostal preaching has always been high energy and high octane. Strong doses of encouragement and conviction could come in one message. 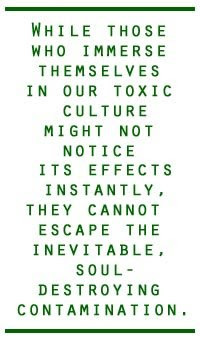 There have been other times that I have heard messages that were geared toward a single focus that worked well. True Pentecostal preaching is more than just content, it is full of passion and anointing that will generally call for an immediate response in an altar at the conclusion of the message. This is healthy and it is a necessity. Increasingly there are scattered reports among us that let us know that long altar services are becoming a thing of the past. We can ill-afford for this to happen in the Pentecostal movement. Preaching Is Worship!!!!! Preaching is Important!!!!! A response to that preaching is also crucial!!!! o have low-levels of spiritual discernment will characteristically find a lack of biblical knowledge. So now the pastor’s role is drastically starting to change concerning the most important thing that he does. I believe that prayer and ministry of the Word are the most important aspects of a pastor’s job description. Curiously there are all sorts of seminars on everything but preaching and prayer. Bookshelves in Christian bookstores are jam packed with many books that seem to address everything but preaching and praying. It seems to me that leadership and church growth conferences need to give way to helping ministers become better prayer-ers and preachers. It is my thought that if our praying and preaching become priorities then the Lord will add to the church daily. of why churches are ineffective and/or are in decline. 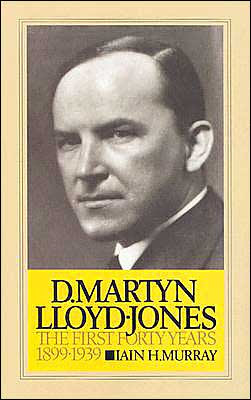 His most recent book Essential Church? has motivated some of my thoughts about preaching. They were particularly heightened after I read the pastor’s question on the e-mail group. Rainer identified seven sins of dying churches (pp. 16-19) and three of the faults had to do with preaching. He stated that doctrinal dilution, failure to be relevant (this is in a good way, not the convoluted view of the Emerging Church), and biblical illiteracy. After mulling over these three thoughts, it is my belief that all three of these can be terminated with a strong devotion to the Word and an increased passion for preaching the Word. 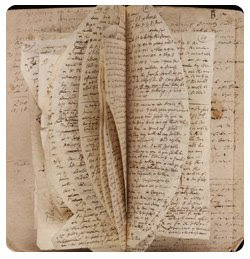 notebook with me at all times and used it with great devotion when I went to hear other preachers. Maybe they would drop some nugget and I would be safe for another week. I have been much chastised by the Lord over that in some 10 years ago or so. While I am not completely delivered from topical preaching (yet), I have made much more concentrated effort to dig into the background of the text and then preach it out in a much more biblically and doctrinal manner. 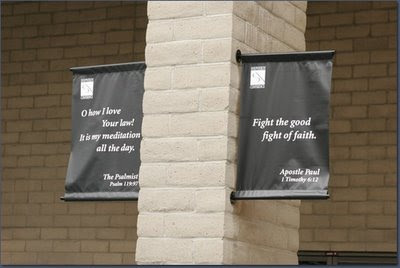 It started with a series of consecutively preaching through Ephesians 6:10-18 on the warfare of the saint. Each piece of armor was dealt with and I came away from that exercise with a much greater grasp of what it really meant to be involved in spiritual warfare. Reaching back into the past, I give you an example of a “sermon” with much embarrassment that I preached years ago after getting a “thought” in prayer. I preached about Jael nailing Sisera’s head to the ground. I called it “Power from Common Tools.” I preached myself into a dither and those that heard it got pretty worked up about it too! We shouted, we ran, and perhaps metaphorically we bit the ceilings, and swung from the ceiling fans (so to speak). The problem was that it was a mile wide and an inch deep and had absolutely nothing to do with the text. I preached that milk which Jael gave was the Word of God and to defeat the enemy you have to give them the Word. I then said the covering that she used to cover him was prayer and how that we had to cover everything that challenged us with prayer. I then said that the nail she used was symbolic of sacrifice and how that to kill the enemy of God we had to nail him down with personal sacrifice and cross-bearing. Lastly, I said the hammer was worship! Not just any worship but get after it worship, take the devil by storm worship, the charge hell with a little water-pistol worship. I then went into great detail about how that Jael had used common tools for an uncommon victory. The two places I preached it went up in proverbial Holy Ghost smoke. We all left encouraged and stayed that way until we got home. Then nobody could remember what had been preached we all just knew that it had been good. What a travesty to lower preaching to such a pitiful place. I was fully one of those novices that Paul told Timothy to train and look out for. Through all of these experiences, God was beginning to gently push me in a different direction. I must confess that I still continue to preach topical messages but I try to make absolutely certain that they are biblically accurate and not given to preaching merely for an emotional response. About two years after preaching that sermon, I happened to fortuitously begin reading about expository preaching. John MacArthur’s book Rediscovering Expository Preaching (Now simply entitled Preaching) came my way. Although somewhat technical in nature, I started wondering about the value of doing this type of preaching. As my curiosity rose, I begin to look for other books on this same idea of expository preaching and I found Harold Bryson’s book Expository Preaching and again was challenged in a greater way. Then Stephen Olford’s book appeared Anointed Expository Preaching and I was off to the races. 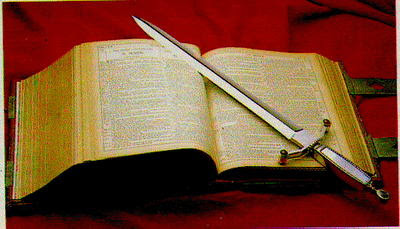 , I shall endeavor to tell you some of the ways that I have preached through large portions of Scripture here in Dothan. I have been told by some that when I blog, I write books! So in honor of that, I am going to try and shorten up these blogs into smaller cuts so that you will perhaps not have brain-lag when you finish reading. . . . More on this thought later. . . . By the way, thanks for stopping by and reading my ramblings. . . . it was good to meet a lot of blog readers at General Conference in Greensboro, NC.